We are the Super Race! | Kimchi with Eish! We are the Super Race! 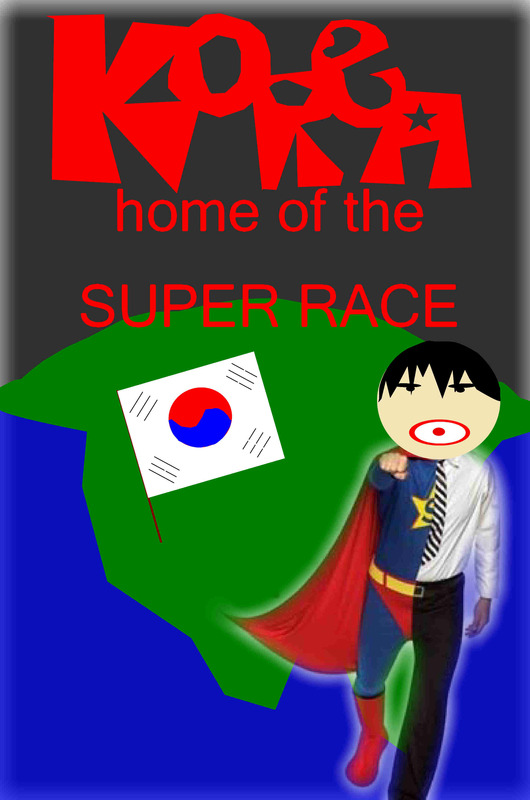 Koreans are the super race. They truly are! In fact they are superheroes! The mere fact that they can consume Kimchi 3 times a day is enough to put them in the company of Superman! Koreans live for extremes. In the summer they can not only survive the pressing humidity but also flourish in it. In the winter they shake off the cold like water on a feather! Koreans live to be like 300 years old. The elderly will beat you in any race or hiking expedition. No math equation is ever too complicated as every single citizen of this nation has at least a masters degree. Koreans are all skinny! They are very tough! They wear scarfs in summer and mini skirts in winter. Nothing can get them down. All Koreans descend from Dokdo where they are injected with The Korean superpower. Koreans are the super race and I am in awe of them!